Location, location, location. It does not come much better than this. 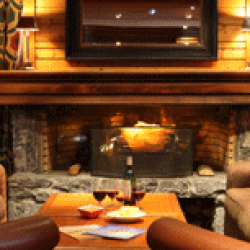 Right in the centre of Val d'Isere this chalet is perfectly positioned for just about everything. Comfortably furnished throughout, and the lounge and bar areas with their large sofas and armchairs are the main hub of the hotel. Breakfast, tea and dinner are all served in the hotel dining room which is laid out to accommodate larger group tables or tables for two. For further relaxation there is a therapy centre just next door with steam room, sauna and Jacuzzi. 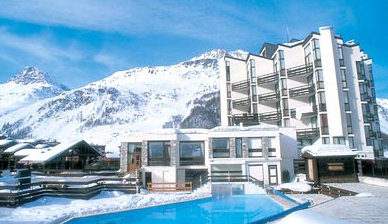 (supplement) On the second floor there is a heated outdoor pool , which hotel guests are welcome to use free of charge. Minutes from the ski schools. 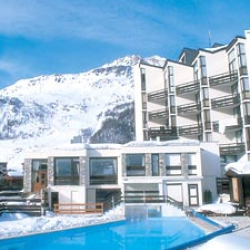 Heart of the shopping, eating and 5 minute walk to the snow front and lifts. There are TV's in every room with English channels and the bathrooms have hairdryers. But it's the dining room that is really impressive here. High up on the fourth floor, this galleried room looks down on the town and up into the mountains. Twin - 2 single beds, en-suite bathroom, some rooms take an extra bed and/or cot. 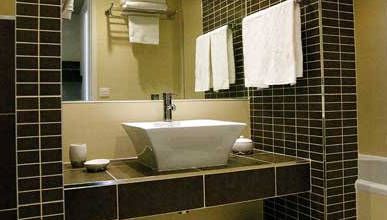 Large Double - 1 double bed, en-suite bathroom can take 1 extra bed or cot. Duplex room - Mezzanine room, double bed on lower level with en-suite. Wooden staircase up to mezzanine level with 2 children's' beds (not suitable for children under 3). Cannot take a cot. Family Suite - Two rooms which are interconnecting. 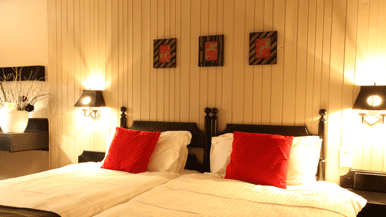 One double room with en-suite and second room with single bed and pull down top bunk. Second room has an en-suite shower. The double room can take a cot. Breakfast, afternoon tea and a three course dinner with wine are all included in the price of your holiday. 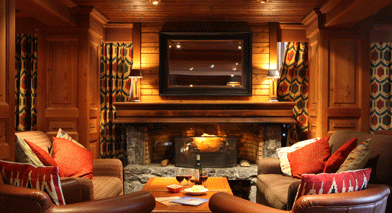 Afternoon Tea is served on your return from the slopes.Six evenings you will be served a three course dinner. Children's High Tea is available 7 days a week for children 12 years and under. On two evenings, including arrival night, a buffet is served. Otherwise the daily menu offers a choice of three starters and three main courses and a selection of desserts or local cheeses. A choice of complimentary wines are also served. Chalet staff have one day off.